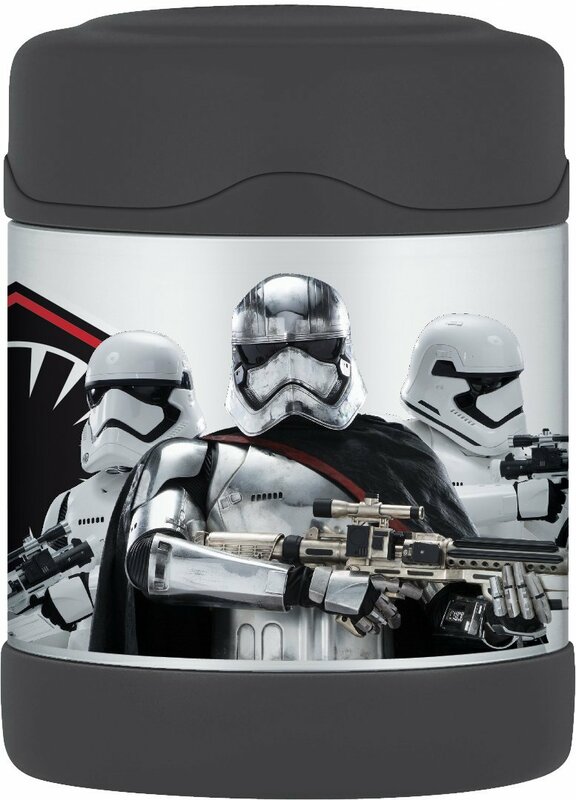 Color: Star Wars Episode VII Captain Phasma THERMOS products deliver what matters every time. As the leading manufacturerof convenient insulated products for over 100 years, THERMOS is trusted byconsumers to provide innovative portable containers that promote a safe andhealthy lifestyle. THERMOS delivers when it matters. THERMOS brand productsoffer superior insulation that keeps food at its maximum temperature retentionfor hours and the 10 ounce FUNtainer food jar is no exception. THERMOS vacuuminsulation technology virtually eliminates temperature change within thebeverage container by creating an airless space between two stainless steelwalls. The result is an insulation layer that performs better than any other.A superior insulated container you can depend on to keep your child's food hotor cold for longer. This food jar keeps food cold up to 7 hours and hot for 5hours. Constructed with double wall stainless steel, this 10 ounce food jar isbuilt to withstand the demands of everyday use with its durable stainlesssteel interior and exterior and features a wide mouth that is easy to fill,serve from and clean. In order to maximize the incredible insulationtechnology, it is recommended to pre-chill or pre-heat the jar just prior touse.